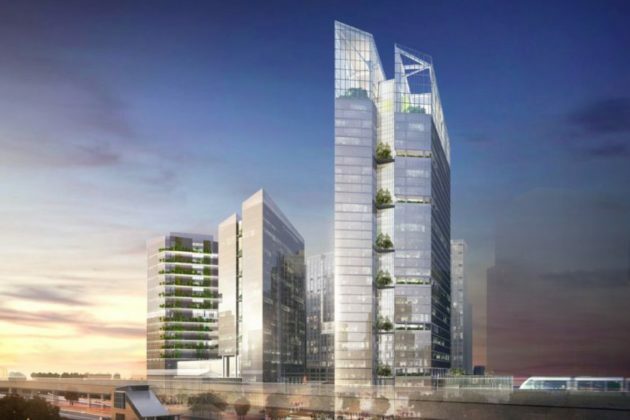 As Tysons works its way towards being a fully fledged city, The Iconic tower is being designed to be one of the area’s first real landmark buildings. 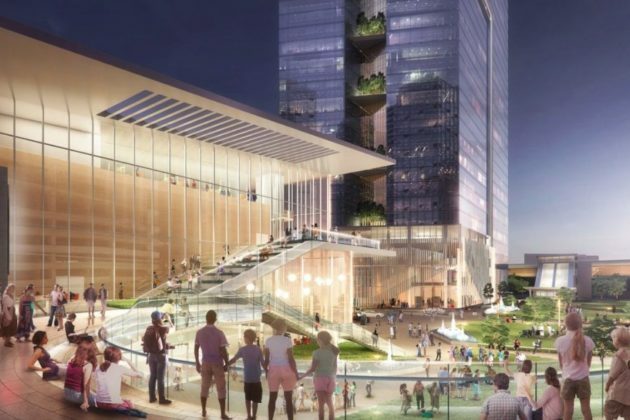 At over 600 feet tall, the planned Iconic tower in Tysons West is the most visible of the Clemente Development Company’s plans for Tysons West, an area surrounding the Spring Hill Metro station. The tower had originally been planned for mixed residential-commercial, but in August was transformed into an almost-entirely office development. The tower is just one part of the developer’s sprawling 3 million-square-foot redevelopment plans. 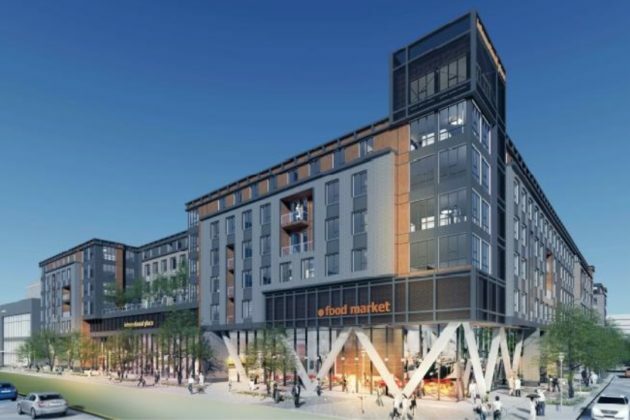 The first building planned for development is a hotel and a condominium building on the north end of the site, to be followed by an office building just south near the Metro kiss-and-ride. 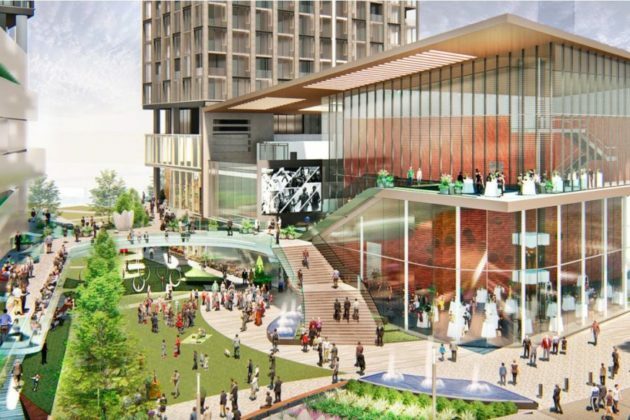 Juliann Clemente, President of Clemente Development, said while the development could do nothing to affect the Metro exit, the Fairfax County-owned kiss-and-ride and property just east of the station exit is being transformed into an open plaza. A street is planned to bisect the property, with a residential, retail and arts district located just to the west of the offices. Unlike the nearby Boro project, Clemente noted that the project is entirely tightly clustered around the Metro station and on a flat elevation. While The Boro project is designed to be a day-to-day retail experience to compete with the Tysons Corner Center mall, Clemente said the View project is designed to be a one-stop-shop for everything someone would need in a retail, residential or office experience. The project also includes plans for a 199-seat black box theater at the project, replacing a 500-seat theater that had been in earlier plans. Kevin MacWhorter, a lawyer working on the project, said the theater was the result of a negotiation with Fairfax County. As part of the proffers for the development — incentives offered by a developer to allow for exceptions to zoning ordinances — the Clemente Development Company is currently looking funding construction of a new community center behind the nearby fire station at 1560 Spring Hill Road, with four to five levels of the building set aside for affordable housing. The developer is also planning to make renovations to the nearby Raglan Park. The project is still in the early stages of land use approval. MacWhorter said the item is docketed to go to the Fairfax County Planning Commission and Board of Supervisors in October. If the project receives approval, Clemente said construction could break ground on the first building as early as next spring. The Weekly Planner is a roundup of the most interesting events coming up over the next week in the Tysons area. We’ve scoured the web for events of note in Tysons, Vienna, Merrifield, McLean and Falls Church. Know of any we’ve missed? Tell us! 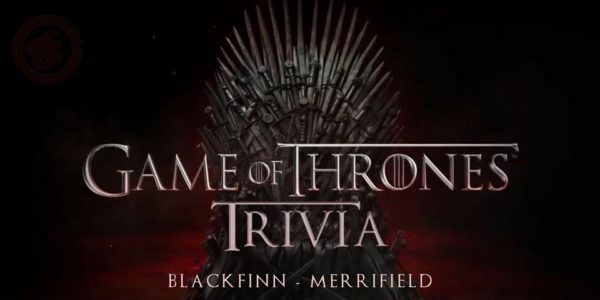 Game of Thrones Trivia Night — 8-10:30 p.m. at Blackfinn Ameripub (2750 Gallows Road) — The Blackfinn Ameripub is hosting a trivia night themed around the popular HBO show Game of Thrones. 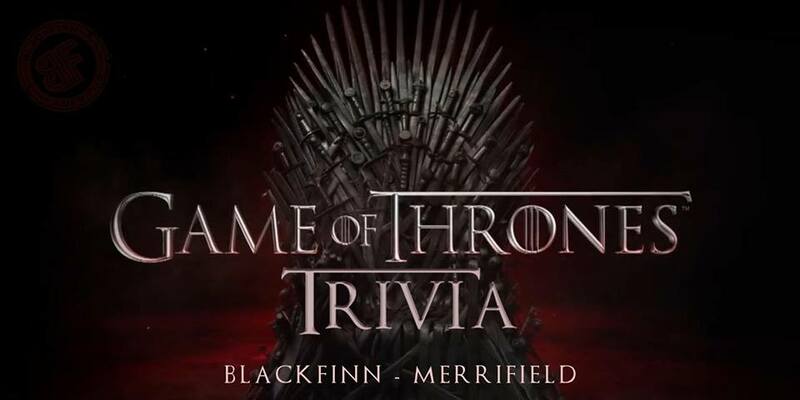 There is no entry fee, but top teams can win special Game of Thrones-related prizes. Food and drinks themed around the show will also be available. 2019 Green Expo — 7-9 p.m. at the Vienna Community Center (120 Cherry Street SE.) — The event hosted by the town’s Community Enhancement Commission helps locals learn about sustainability, home energy efficiency, recycling and more. Activities at the Expo include a raffle to win a rain barrel and lessons on how to make a yard a habitat for local wildlife. Green Expo is free and open to the public. Claude Moore Farm Public Meeting — 6-8 p.m. at Madison Community Center (3829 N Stafford Street, Arlington) — The National Park Service is launching its planning effort for McLean’s Claude Moore Farm, which closed last fall, with an open house. Concepts for the park are planned to be shared at the meeting with the public given a chance to offer feedback. 8th Annual Taste of Vienna — 11 a.m.-8 p.m. at the Vienna Volunteer Fire Department (400 Center Street) — The annual fundraiser for the Vienna Volunteer Fire Department is coming back, rain or shine. The event showcases food and beer from around Vienna. For adults, beer tickets are $15. All-day moon bounce admission for children is $2.50. 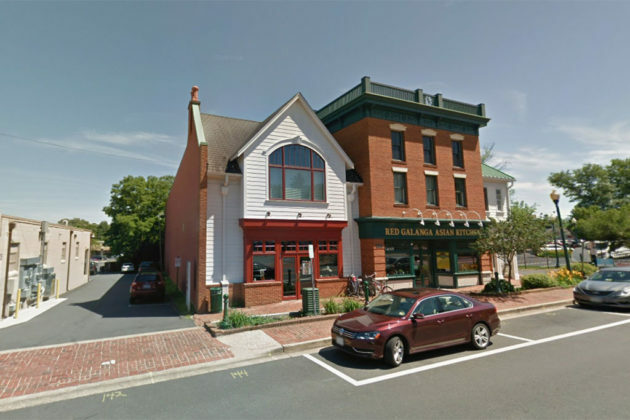 Caboose Brewing Company’s Springfest 2019 — 12-7 p.m. at Caboose Commons (2918 Eskridge Road) — Caboose Commons is hosting its first craft brewery festival, with eight other breweries planned to attend the event in Merrifield. Live music, smoked barbecue, and authentic German beer are planned for the celebration. Tickets are $25. Pints for Parkinson’s — 1-5 p.m. at Tysons Biergarten (8346 Leesburg Pike) — At a special fundraiser, all donations and a percentage of sales at Tysons Biergarten will be given to local non-profit Parkinson Social Network — a group dedicated to bringing the Parkinson’s community together to inform and encourage those living with Parkinson’s. 2019 Walk on the Hill — 2-5 p.m. at the Windover Avenue — The annual tradition dating back to 1971 takes visitors on a self-guided tour through a historic Vienna neighborhood. Approximately 50 yards and gardens are planned to participate in the tours, and live entertainment is also planned for the celebration. MOD Pizza — a pizza restaurant chain — is coming to the Pike 7 Plaza shopping center in Tysons. 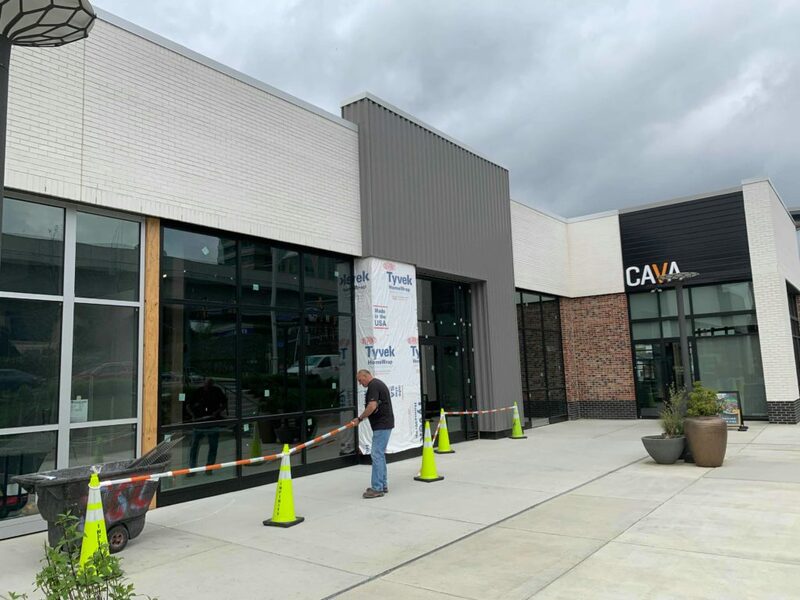 The new restaurant is under construction at 8405 Leesburg Pike, between the Cava and the Honeygrow that both opened last fall. The new MOD Pizza location isn’t the first in the area — there’s another at 168 Maple Avenue W. in Vienna that opened in 2016 — but the chain has been undergoing a widespread growth in the D.C. region. It is unknown when the location plans to open, but the company is currently looking for a general manager for the Tysons location with a base salary of $68,100. Construction is also ongoing at an enclosed JP Morgan Chase kiosk between MOD Pizza and Honeygrow. 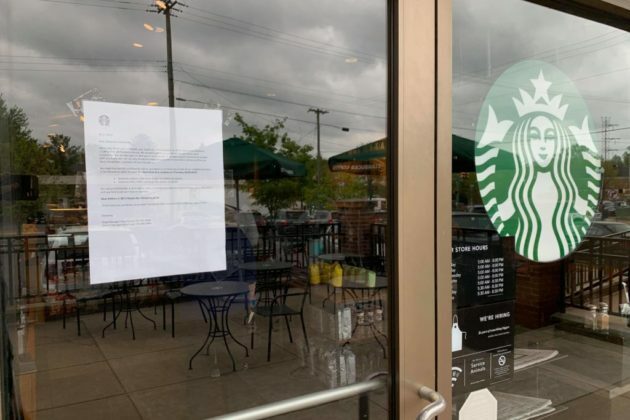 It’s been a long time coming, but Vienna’s two existing Starbucks are closing down as the chain readies to open a drive-thru location a few blocks away at 367 Maple Ave E.
On Sunday, April 28, both of the Starbucks along Maple Avenue will be permanently closing. The new Starbucks location is planned to open Thursday, May 2. 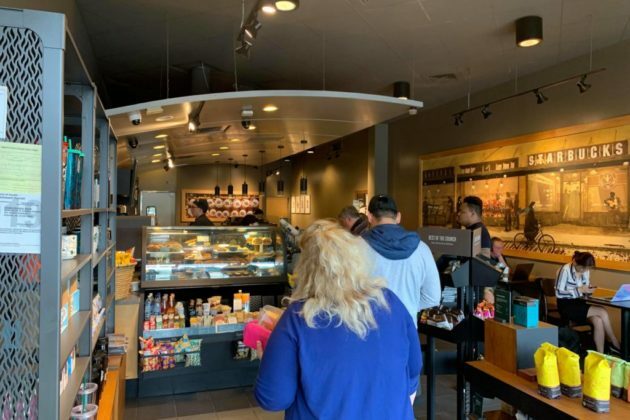 If you absolutely, positively, cannot go four days without Starbucks, the closest nearby locations are one at 2930 Chain Bridge Road in Oakton and one at 8381 Leesburg Pike in Tysons. After the franchise owner for the Huntington Learning Centers in Tysons and Springfield was arrested yesterday for sexual abuse of children, the company announced the locations will close. 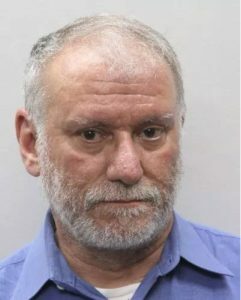 Jeffrey Cummins, a local music teacher, was arrested at Dulles International Airport yesterday and faces eight felony counts of indecent liberties by a custodian against children. The Tysons facility operates in the Centennial Plaza shopping center at 8290 Old Courthouse Road. According to the company’s website, the facility has been open for 23 years. Police say the nearly year-long investigation started when a juvenile disclosed that he had been inappropriately touched by Cummins over several years. A second victim came forward in January and said he too had been abused, police said in a press release. When the locations will close and how many students will be affected by the closure remains unknown. Two months before the Fairfax County Democratic Primary, the race for the Providence District seat at the Fairfax County Board of Supervisors is shaping up to be an expensive race. While the campaign finance reports would show Palchik with a substantial fundraising lead, according to the report a $39,450 contribution was made on Jan. 15 from the “Friends of Dalia Palchik” campaign committee. 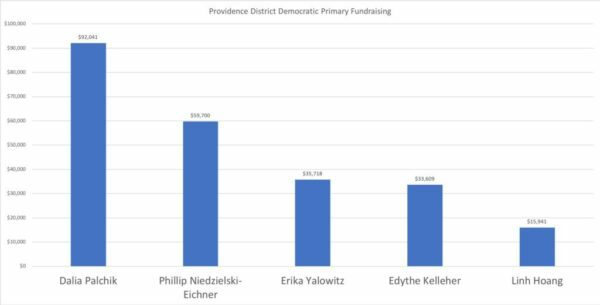 If the funds shuffled from one campaign committee to another are excluded, Palchik’s fundraising total would be $52,591 — putting her in second place behind Niedzielski-Eichner. The reports also show campaign contributions from several prominent local Democrats. On Dec. 21, Niedzielski-Eichner received an early Christmas gift from the ‘Friends of Linda Smyth’ — the campaign fund for outgoing Providence District Supervisor Linda Smyth — in the form of a $23,325 contribution. Palchik has also raked in funding from other Democrats, though, like a $500 contribution from outgoing County Board Chair Sharon Bulova’s election campaign on March 11. Palchik also received funding from Alexandria City Councilman Canek Aguirre. Kelleher received $500 in support from Mason District Supervisor Penelope Gross. Nearly two-thirds of Kelleher’s fundraising total — $20,000 of the $33,609 total — is from Kelleher. No incumbent members of the Board of Supervisors show up in Yalowitz’s fundraising tally, but there is a $650 contribution from the local PAC Brass Ovaries and a $200 contribution from former lieutenant governor candidate Gene Rossi, who has recently raised the topic of running for office again in the wake of the scandals in Richmond. Yalowitz has also spent a total of $5,502 on her own campaign. Hoang trails the other candidates in fundraising. Hoang entered the race late, and “Friends of Linh Hoang” doesn’t report any contributions prior to March 26. The primary will be held on June 11. 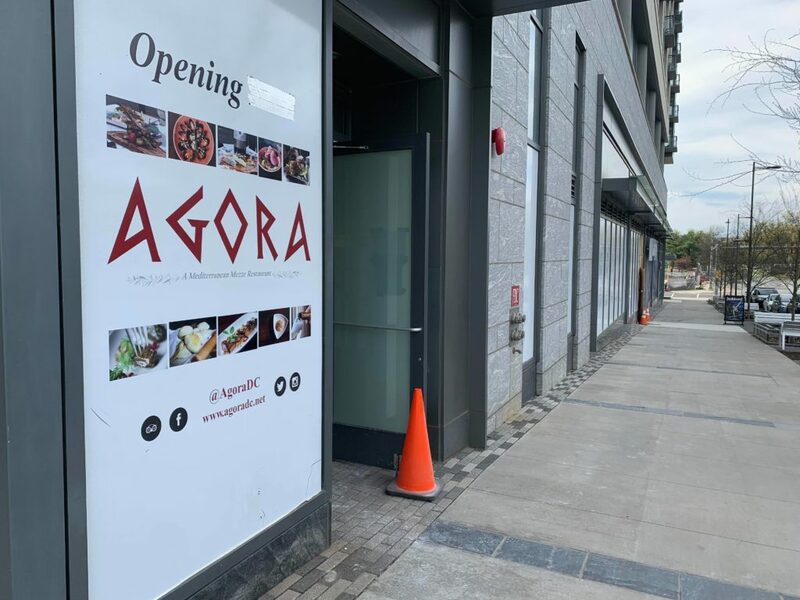 If you peeked under silver duct tape on the front window of Agora at 7911 Westpark Drive, you would find a sign saying “Opening 2018.” Things have not gone as planned. The new restaurant would be the second location for the Mediterranean eatery based out of Dupont Circle in the District. The restaurant is under construction in the Nouvelle apartment tower northeast of Tysons II, part of a suite of Arbor Row developments. The restaurant was announced last October with plans to open in December. 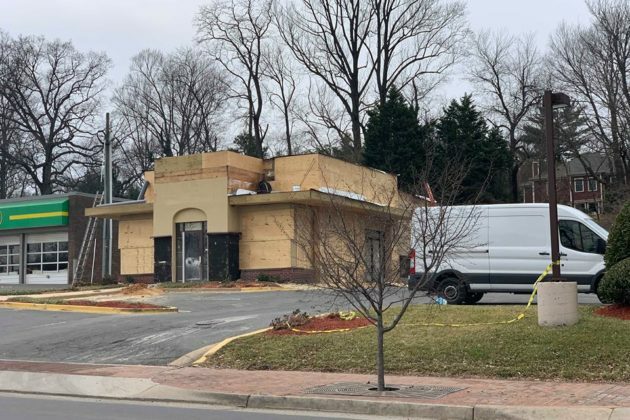 But by February, owner Ismail Uslu said he had been struggling with a slow permitting process that has taken a full year for approval. At the time, Uslu said the new opening was scheduled for March. But midway through April, the interior of the restaurant is still under construction. According to Uslu, the restaurant is having design difficulties related to elevation. The restaurant is not only split-level but located on a slope running down Westpark Drive. Uslu said the new aim is to open sometime in mid-to-late May. Relocating is a part of office culture. But when the company moves just a few blocks away, some experts say it could be the sign of a healthy office market. 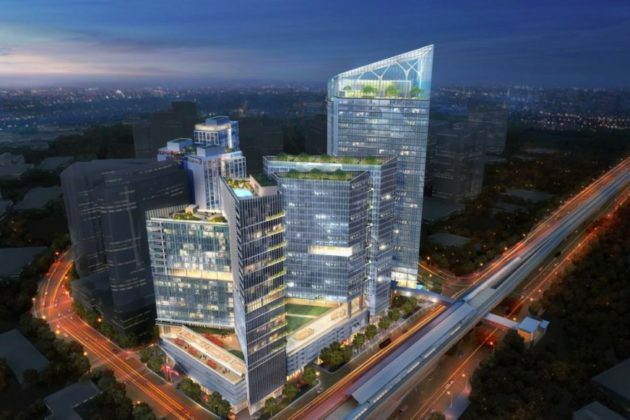 One of the most notable moves in Tysons was auditing giant KPMG LLP’s announcement last October that it would be moving from 1676 International Drive to the Boro, a project nearing the final phase of development. On the surface, a move like that would have a minimal economic impact. Some local experts who spoke to Tysons Reporter said that moves like this allow companies to obtain relatively prime office space at low costs. KPMG LLP not only got a newer, larger office out of the move, but also a $1 million grant from the Commonwealth’s Development Opportunity Fund and other tax credits. Professor Frank Shafroth, director of the Center for State and Local Leadership at George Mason University, said the move could also be a positive sign that the region has a strong standing in the competitive Northern Virginia race to fill office vacancies. The long-awaited Tysons Technology Park near Leesburg Pike is about a month away from opening. 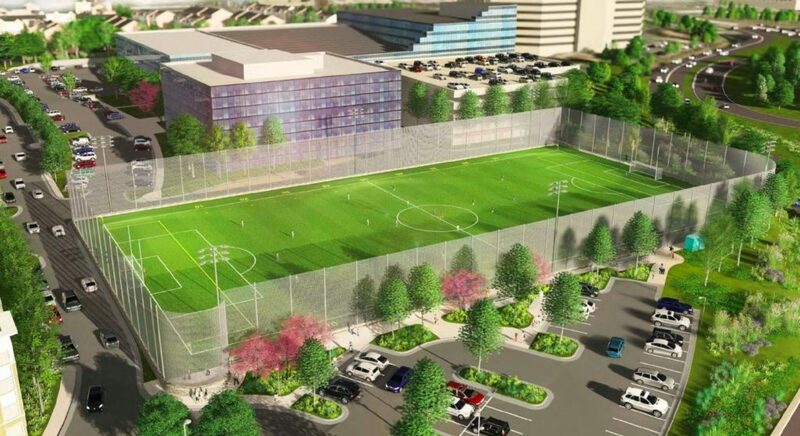 The athletic field just south of the intersection of Leesburg Pike and the Beltway will replace a surface parking lot with a five-level parking garage and a full-sized athletic field. The athletic field includes amenities like LED lighting, bleachers and bicycle racks. The project was built as part of a proffer — an accommodation from a developer to qualify for zoning exemptions — from the Meridian Group for the nearby Boro project. Once opened, the field will be operated and maintained by the Fairfax County Park Authority. Mike Killelea, a communications manager with construction contractor L.F. Jennings, said the project is a few weeks from completion. Killelea said after the handover to the Park Authority, the project will likely have to go through some paperwork and review before the it opens. Staff at the Park Authority said that until the park is handed over, it would be difficult to determine exactly how long that process will take, but that ribbon-cutting for the park is still tentatively planned for mid-late May. A new photography studio opening tomorrow (Thursday) in Vienna focuses on high-end, portraiture photoshoots. The Melody Yazdani Studio at 144 Church Street NW. has a grand opening scheduled for 6 p.m. with a ribbon-cutting at 6:30 p.m. The studio specializes in portraits of women. Session fees start at $275, with hair and makeup services available. Clients typically invest $1400-$5000 on custom collections. Session fees do not include prints or digital files, and travel fees may apply for sessions further than 15 miles from Vienna, Virginia. 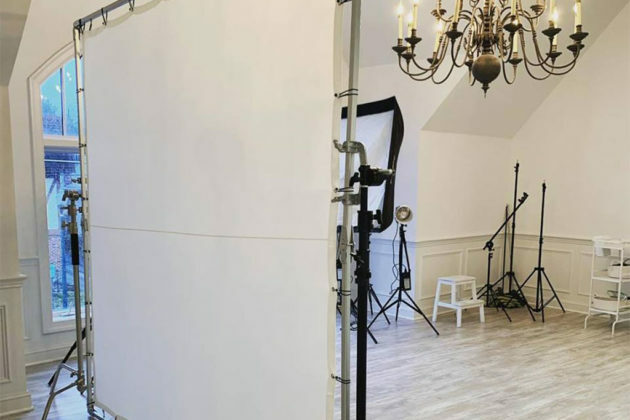 The studio advises potential subjects to book a session at least two weeks before the photo shoot, though during peak seasons some slots fill up months in advance. Exterior photo via Google Maps. Studio photo via Facebook.